Is a Smartbox good value? 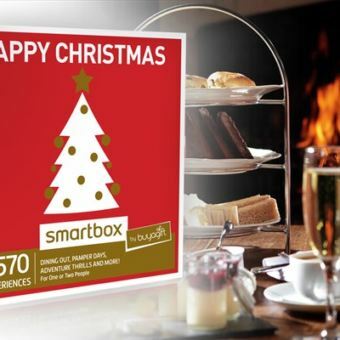 While browsing the Buyagift website I stumbled across a type of gift voucher called a Smartbox. The Smartbox by Buyagift range° currently contains 46 options, each catering for a different person or theme. Some boxes are quite vague with titles such as "Treat Him" or "Treat Her" while others are very specific, such as "Taste of Italy", which includes a meal at an Italian chain restaurant. So what are they and are they any good? Let's find out. 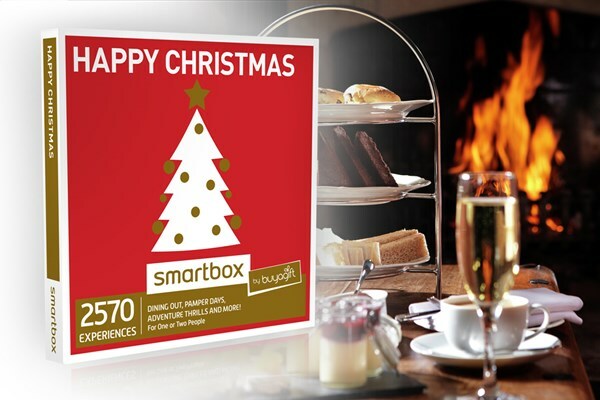 There's a range of Smartbox options to choose from, including a festive box just for Christmas. 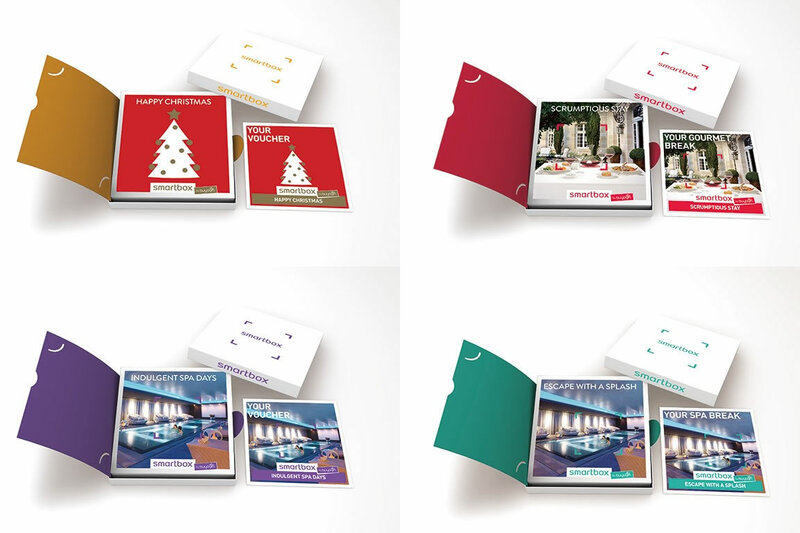 In essence, these are packaged gift vouchers that let the recipient choose an experience they would most like to partake in. Inside the presentation box is a booklet explaining to the recipient which experiences they can choose from, and the steps they need to follow to book their activity. Each Smartbox lets the recipient choose from a range of pre-selected experiences at a variety of locations. The "Treat Her" box boasts the greatest choice with over 2,600 events to choose from around the country. There's a good choice of Smartbox options, from product-specific selections such as Paintballing, through to person-specific selections such as For Him or For Her. Each comes in a gift-worthy presentation box along with a guide to the products available to choose from in that box. It's effectively a take on the humble gift voucher which is usually available in themed or monetary variants. I'd say overall, yes it is. As with other themed gift cards, the choice will contain options typically up to (or pretty close to) the value of the card. That means, there may be some slightly cheaper options if you were to buy a specific experience. A Smartbox is a ready-to-give gift. It comes in a smart gift-worthy box. If you buy a specific experience on the website, you'd need to upgrade to the Gift Pack (at £3.50) to get an equally nice presentation pack, albeit with a "Presentation Gift Tin" rather than a fancy box. A Smartbox is valid for two years while most Buyagift experience vouchers are valid for 10 months. Of course you can extend many individual Buyagift experience vouchers but that costs £20 in admin fees plus any difference between the price paid and the current price. A Smartbox is great for someone fussy or difficult to buy for. You know that person. The one that doesn't seem to like anything you buy for them. The one that regifts your presents or returns them for store credit. Opt for the Treat Him° or Treat Her° boxes for maximum choice at a very good price. There is one instance when a Smartbox isn't the best choice though. If you have a specific experience and location in mind, it might be cheaper to book that instead. Take the £34.99 Afternoon Tea box° for example. You can find afternoon tea experiences at Buyagift from as little as £19, albeit at one specific location. The Smartbox gives you choice though, so if coverage and options trumps price, then opt for that. WHEN: Experiences take place on selected dates at selected locations year-round. The Smartbox vouchers are valid for 24 months so they've got plenty of time to book themselves onto an activity day. WHERE: Experiences are available nationwide, but some options may be location-specific. Full details of what and where can be found on the Buyagift website. WHO: Smartboxes are easy gift ideas for pretty much anyone. Choose a generic box to cover all bases or opt for something a little more specific, such as a night away or a spa day. OCCASIONS: Pick a Smartbox for birthdays, Christmas, anniversaries, Mother's Day, Father's Day, and pretty much any occasion going. Opting for a Smartbox saves you time and hassle shopping for gifts. You look great for thoughtfully giving them a gift experience day while all you've had to do is choose from one of 46 categories, not sift through thousands of possible options. As for the recipient, they'll have oodles of choice which leads to plenty of flexibility. It's a win-win for all. With 46 varieties available, picking the right one can be tricky. Here's my run top picks of what's available. The Smartbox combo that ticks all the boxes is the Treat Him box or the Treat Her box. Vague by nature, these Smartboxes offer a staggering 1,650 and 2,600 choices respectively. His box contains a variety of foodie, adrenaline, short breaks, and driving experiences. Her box is similar, with short breaks, spa days, foodie options, and adrenaline rushes also on offer. The price is exceptionally good value given the sheer choice on offer. Treat him with this Smartbox full of options any man will love. Equally, treat her with this Smartbox full of options any woman will love. How often do we treat ourselves to a really lovely meal? Not a Friday night takeaway but a meal at an award-winning restaurant or in a grand setting such as a manor house? This Smartbox contains over 200 easy options for a romantic meal for two. Do you crave me time? If so, this Smartbox offer a choice of 490 spa days with access to a health spa or hotel spa for two people. Best of all, there's also a range of relaxing pampering treats too, from soothing massages to revitalising facials. One thing that people should know about smartboxes is that most, if not all, are fully flexible: meaning If the person doesn’t like car racing at all for example, is it possible for the recipient to swap this for another similar experience like motorbiking, which you obviously wouldn’t be able to do for free/as easily if you booked direct. I agree. Most of them only allow a choice within a specific field, so are best suited if you know someone’s a petrol-head but you don’t know which supercars they have driven before, for example. Other fields include relaxation, short breaks, couples activities, etc. There are some more generic boxes (like the birthday and celebration boxes) that offer a wider range of choice. The birthday box, for instance, includes experiences like spa days, track days, and cookery classes. These are better suited if you want to give a gift but don’t want to pigeon hole the recipient into a certain category (like driving). There should be a manual that came with the box with full details. In a nutshell, you activate the voucher online, redeeming it against an experience of your choosing from the list within the Smartbox. At that time you book your preferred date and time.